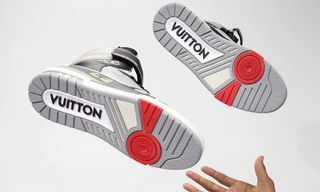 Key Features: Calf leather upper, padded collar, Velcro strap, Virgil Abloh’s Louis Vuitton script signature on the side, “408” on the side referencing Louis Vuitton’s date of birth, monogram flowers on the outsole, rubber outsole with micro inserts. 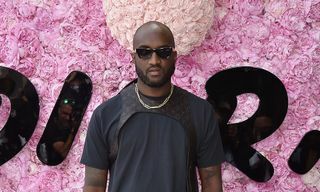 Editor’s Notes: Virgil Abloh is back to showcase his first Louis Vuitton sneaker, the LV 408 Trainer. 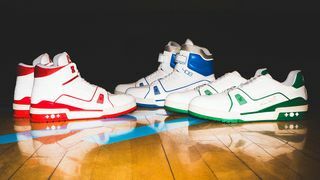 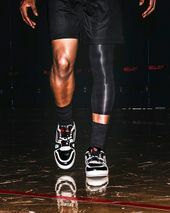 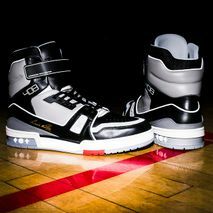 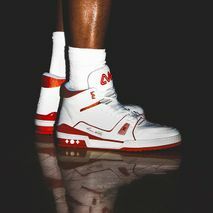 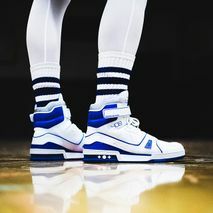 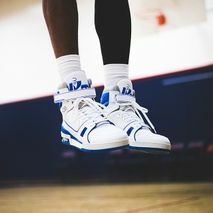 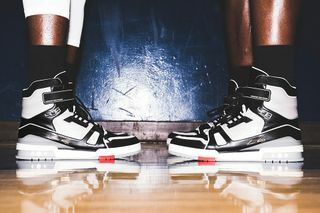 The new campaign sees the shoe hitting the hardwood, courtesy of Christon Staples who is pictured hooping in the luxury silhouette. 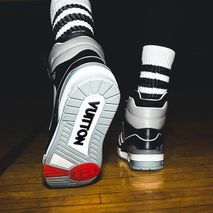 According to Abloh, the LV 408 Trainer is made in Italy, as it takes six hours for each shoe to be stitched. 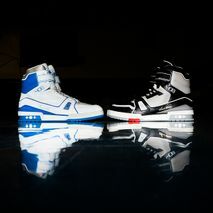 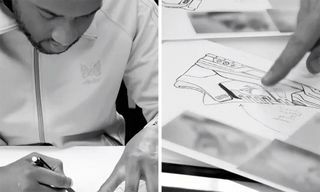 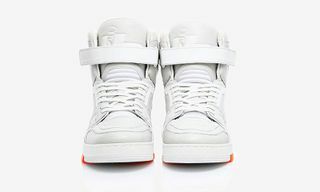 In total, 106 pieces make up the sneaker, while 20 pieces are featured on the sole alone. 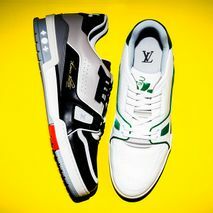 Inspired by decades of iconic sneaker designs, the LV 408 Trainer is a part of Louis Vuitton’s SS19 men’s collection. 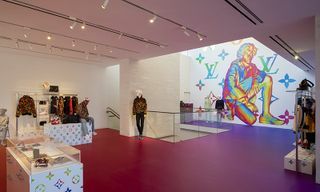 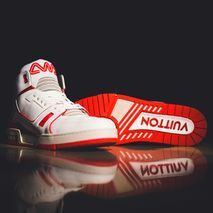 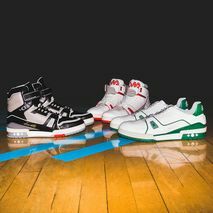 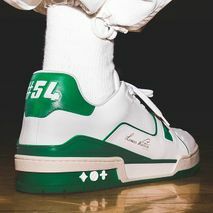 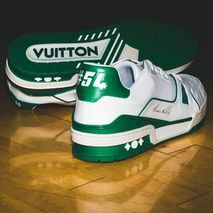 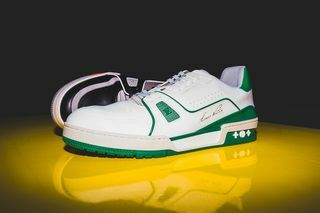 The shoe is crafted from calf leather, then featuring a padded collar and a Velcro strap marked “Advanced Tech System.” A Louis Vuitton signature — handwritten by Virgil — tags the sneaker on the side. 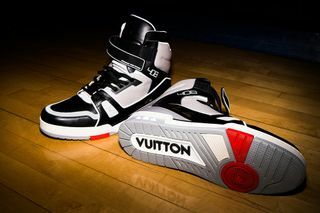 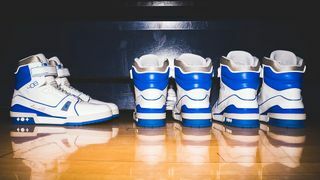 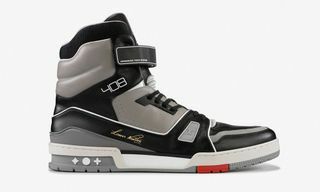 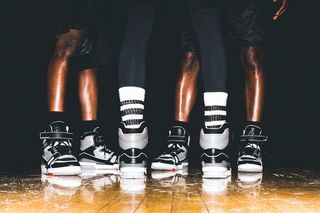 Optioned in low-top ($1,200), mid-top ($1,300) and high-top ($1,600) variations, visit Louis Vuitton to cop Virgil Abloh’s LV 408 Trainer today.